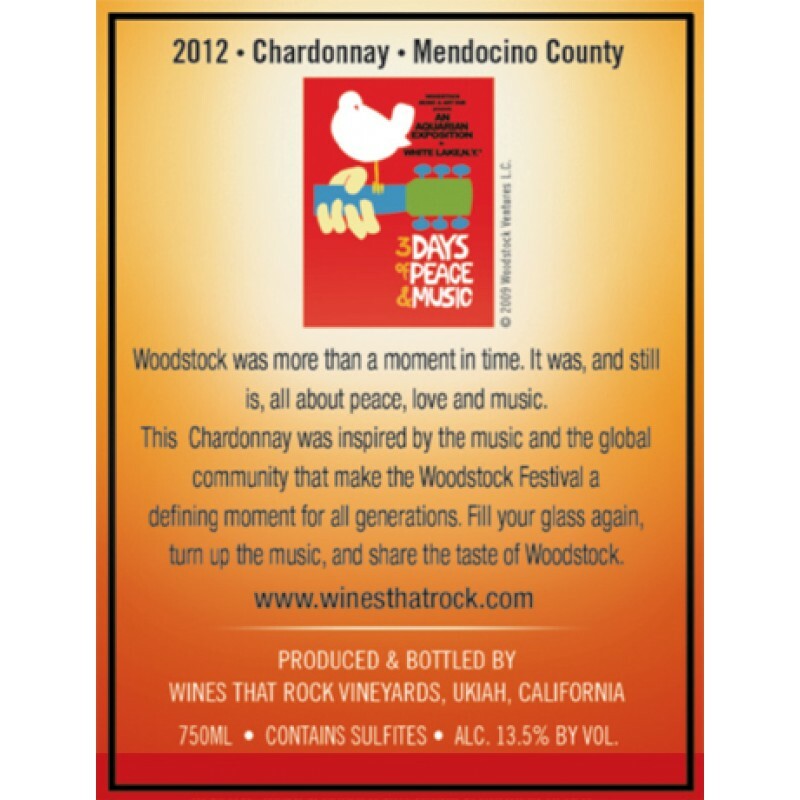 Were they there for Peace, Love or Rock & Roll? 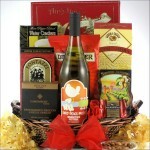 Bring them back in time by sending them this unique Woodstock Wine Gift Basket. 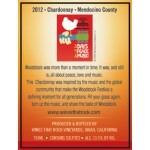 The Woodstock Chardonnay Rock & Roll Wine Gift Basket is going to delight their senses with this rich dry white wine and delicious gourmet foods. Includes Camembert Cheese Spread, Angelina's Sweet Butter Cookies, California Smoked Almonds, Fontazzi Butter Toffee Pretzels and more! 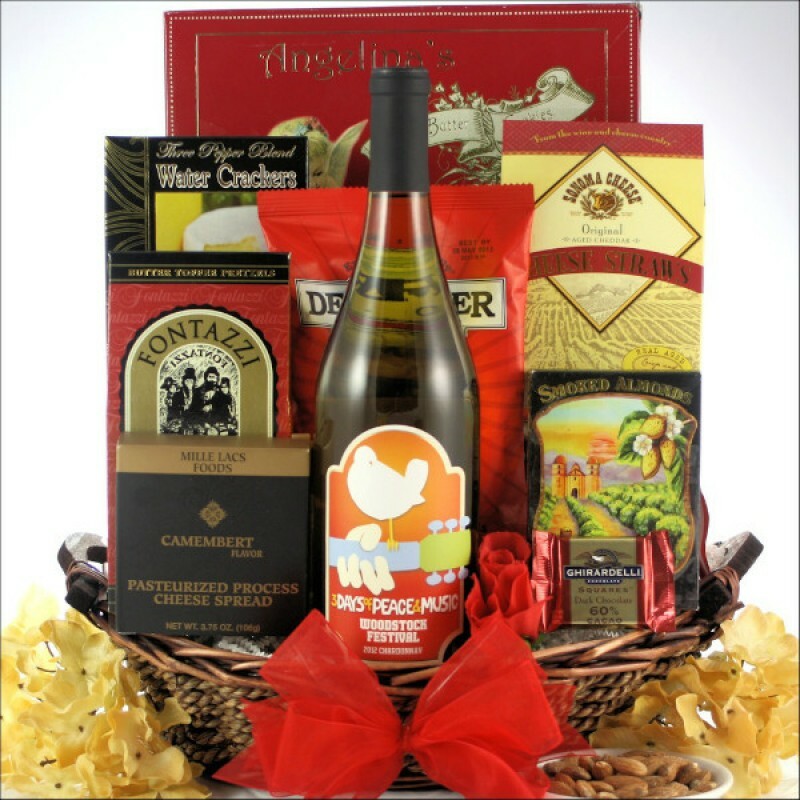 This unique gift basket is sure to ROCK for any occasion.